Worldwide, consumers are becoming increasingly concerned by the industrialization of their food and its impact on the environment, food safety and global food security. In an effort to promote and support smallholders, more consumers are now seeking to reconnect with farmers through direct marketing. To discuss the key concepts of direct marketing, 22 participants from nine countries in Asia recently participated in an intensive two-day direct marketing workshop in Bangkok, co-funded by the Crawford Fund, Peter J Batt and Associates, and the Food and Agriculture Organisation of the United Nations. Participants were first given an overview of direct marketing, before exploring how smallholder farmers could be assisted to engage directly with consumers and institutional buyers. Topics included retail gate sales, pick-your-own operations, agri-tourism, farmers markets, community supported agriculture, mail order and e-commerce. In a report to the Fund, Dr Peter Batt, who organised and led the training, explained the importance of direct marketing to smallholder farmers. “For smallholder farmers to engage directly with consumers and institutional users, they need to maintain the supply and quality of their produce and establish collaborative marketing groups. As competing on price is seldom an option, participants were introduced to the total quality concept as a means of differentiating their product in the market. Not only must the food produced be safe, but it should also be produced in a manner that is sustainable, fair and equitable, and delivers a superior eating experience,” said Dr Batt. Dr Batt noted that direct marketing removes many of the market intermediaries, so course participants were shown how to price products to ensure direct modes of marketing were profitable for the smallholder farmers. 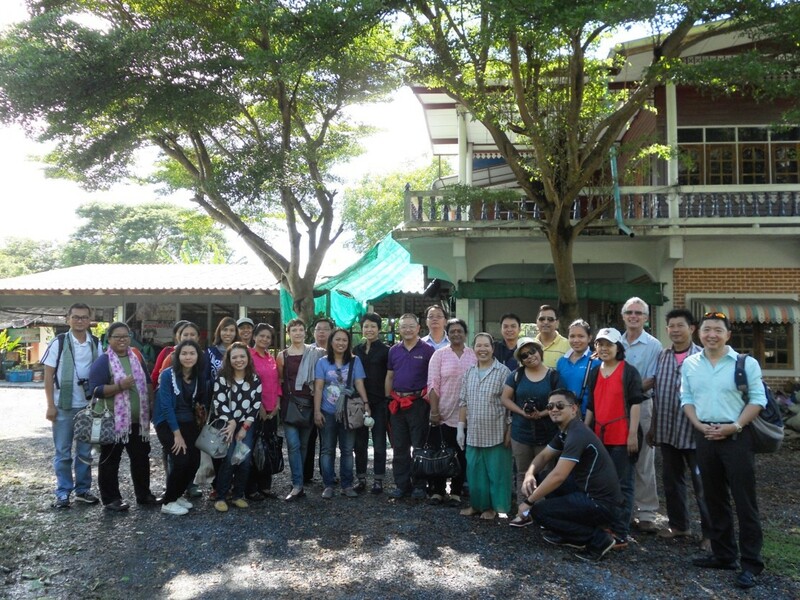 “Since customer retention is more cost effective than customer creation, participants were shown how to assist farmers in building and maintaining trust, thus establishing a reputation as a reliable supplier of good quality produce,” said Dr Batt, who also organized a one day field visit to a green market and an organic garden as part of the training. “The visit to the green market at the Pathumthani Hospital provided valuable insights into the establishment and management of a farmers’ market”. Dr Batt reported that participant feedback was highly positive and that requests were made for the course to be run in Cambodia and Sri Lanka. “Participant feedback showed that their general understanding and knowledge of direct marketing was greatly improved, and that while there are barriers to direct marketing, it was noted that there are considerable benefits to the farmer, consumers and the environment”, said Dr Batt.